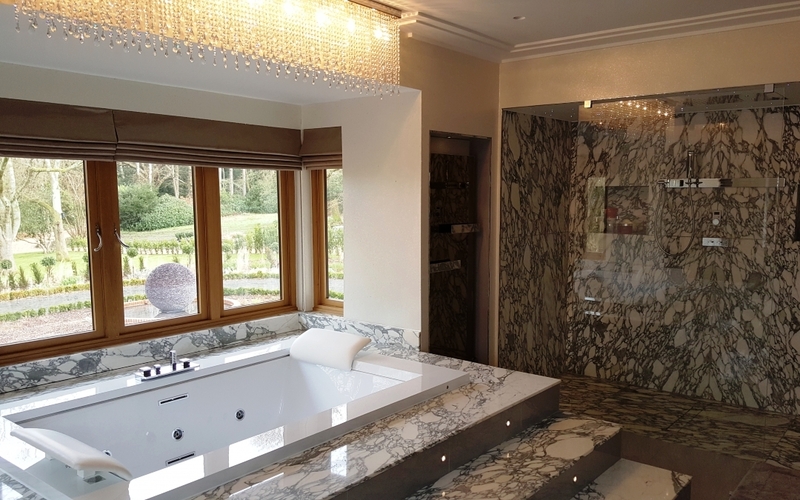 Beautifully bookmatched Arabescato marble bathroom flooring, bath surround and shower cladding. 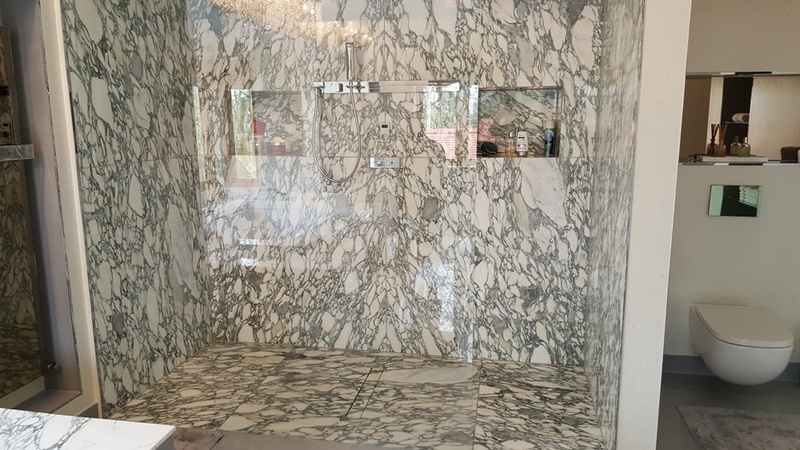 Details: Shower back wall bookmatched, with shower tray and matching steps to bath and bath surround. 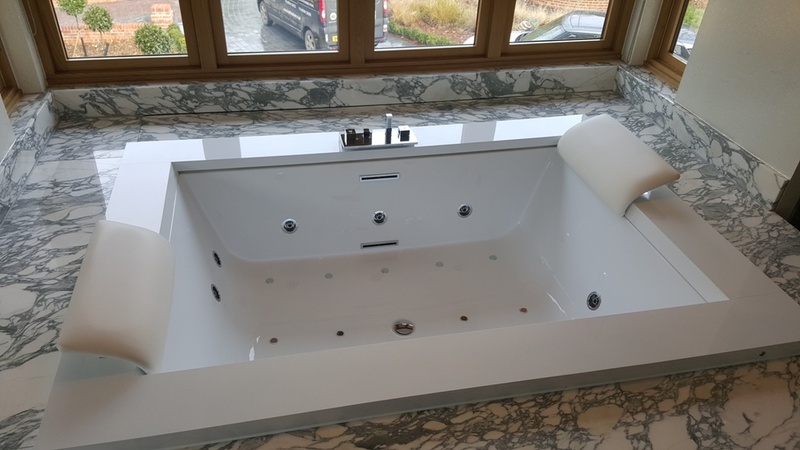 With upstands to the rear of the bath. 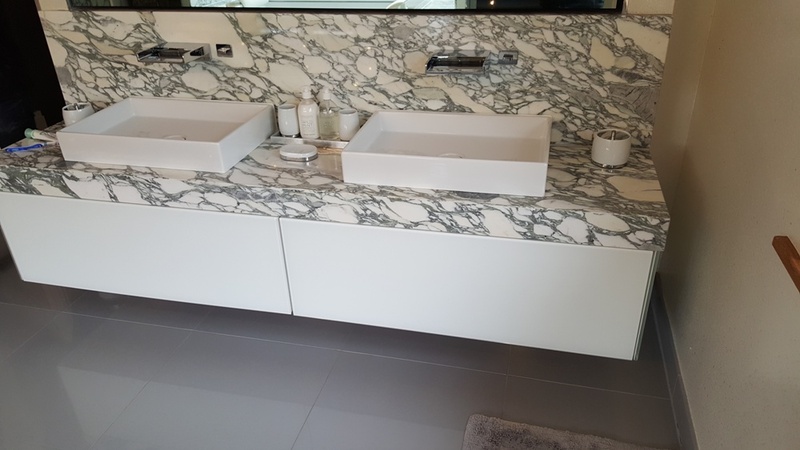 There was also a double vanity top within the same material.